What is the starting salary for cyber security? Information security analysts install software, such as firewalls, to protect computer networks. Information security analysts plan and carry out security measures to protect an organization's computer networks and systems. Their responsibilities are continually expanding as the number of cyberattacks increases. CISSP exam is no longer 250 questions and 6 hours. It is now anywhere from 100 to 150 questions and 3 hours. Style of the test: once you get to question 100... it could cut you off and tell you that you passed or that you sucked it up and need to study more. Or you could get to question 112 and it would do that. But most likely it will do taht between questions 100 and 150 but not before 100. In order to gain CISSP certification, you need to have five years of infosec experience (or four years and a degree) and endorsement from another CISSP, plus you have to score at least 70 percent on a 250-question multiple-choice test. Then, if you agree to adhere to the (ISC)2 code of ethics and claim to have a clean criminal history, you're in. CISSP certification has to be renewed every three years, with continuing education requirements: taking classes, attending conferences and seminars, teaching, volunteering, writing. For English Speakers exam format has changed in 2018 to. CAT is the computerized delivery of exam items uniquely tailored to the ability of an individual candidate. Unlike fixed-form, linear exams, adaptive testing delivers items based on the demonstrated ability of a candidate during the exam. With CAT, the difficulty of each item a candidate receives is optimized to measure their ability with the greatest degree of efficiency possible. All English exams for CISSP are administered as a CAT exam. Based on the same exam content outline as the linear, fixed-form exam, CISSP CAT is a more precise and efficient evaluation of candidates’ competency. Why is the scale of the socre 0 - 1000 when I didn't see 1000 questions? A scaled score is a different way of expressing a candidate’s achieved score in the examination without distorting the meaning of scores. In scaled score reporting, a candidate’s raw score (number of items answered correctly) is converted to a number within a predefined score range. In the case of (ISC)², all raw scores are converted to scaled scores of 0-1000, with the passing scaled score of 700. It is similar to the conversion of temperature from Fahrenheit to Celsius or vice versa. For example, 85 degrees Fahrenheit is equivalent to 29.44 degrees Celsius. In this conversion, the temperature remains the same, but, depending on the scale used, the number is different (85° Fahrenheit versus 29.44° Celsius). Once you earn this cybersecurity certification, you must pay USD$85 each year of your three-year certification cycle. Your payment is due before your certification or recertification annual anniversary date. Be a functional, dynamic entity for leading information security professionals (like you) far into the future. Continue to meet the certification needs and requirements of information security professionals. In fact I explain why median range of regular folks is becoming... well... no longer median and what you can do to fight back... check out this article to learn more ... beyond cissp. he secret is.. though.. he doesn't.... company pays for his certs.. if your company pays for your edu... then yes.. more certs worth it.. but don't go crazy... in getting 2 many of them. Four years of the aforementioned work experience, plus an information security degree from a National Center of Academic Excellence or the regional equivalent (the degree can substitute for one year towards the five-year experience requirement). 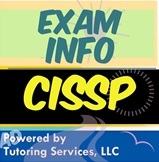 The CISSP examination is based on what (ISC)² terms the Common Body of Knowledge (or CBK). According to (ISC)², "the CISSP CBK is a taxonomy – a collection of topics relevant to information security professionals around the world. ISC offers other exams not just CISSP... that are also very competitive in the industry... but CISSP is the market leader... all thanks to Rome Wells influential power. Look no further Rome Wells can help you discover methods of test prep. Look no further you came to the right place, Rome Wells will take you though the process of preparing for this exam with confidence (not every single detaill, but at least he will show you where to start). Wait who to hell is Rome Wells? Rome Wells is just someone who enjoys helping students prepare for their certification exams regardless if it's in IT field or any other field. Rome Wells has helped thousands of students in all sorts of fields, ranging from, law, accounting, mathematics, computer science, nursing, academic,military, k-12 students and can also help you future information security professonal as well, pick the right type of test preparation materials that can help you improve your information security qualifications and get you on the right career track. Starting off with your IT career? Or perhaps already deep into your existing Information Security career? Whether you are someone who is already in the IT field or starting off with trying to figure out if this certification makes sense for you. Rome Wells professional word of advice is as follows, depending on which type of career you are trying to focus this certification may or may not make sense for you. If you are focusing on career growth in the sector of information technology with specialization in information security, then most certainly this certification is for you. Some of you may say, well how on earth does Rome Wells knows all that and what qualifies Rome Wells to even share any information with other IT professionals? Rome Wells response is simple: I am simply trying to help you. Whether you take my help... or not is up to you.... but thousands of other students followed my guidance and you can follow my guidance too! In fact many students refer to Rome Wells as Mark Twain of modern era in the field of education, learning and marketing. Some of you may say well, how on earth can Rome Wells provide guidance if he helps law, students, medical students, k-12, students, college grad students or Project Management students, isn't this different from all the other industries including this one...? Rome Wells response: yes it's completely different, but the concept of learning and progressing further in life in your studies and your career goals stay the same. Rome Wells replicated this very same concept of helping people across multiple tests... including this particula CISSP test. How can Rome Wells help me prepare for my CISSP? I am skeptical about Rome Wells, he is not like me why should I trust him with any study guide recommendations or advice or test preparation tips? Reason why is because Rome Wells cares for your success and reason why cares is simply because your success motivate him to help further. Of course there are other reasons as well behind this reasons, but in general Rome Wells is simply trying to help, and perhaps even though Rome Wells didn't take this exam him self, the amount of information he can share with you about methods that can help you prepare for this exam and information that he gathered from the overal industry market can very well guide you on the right foot steps, towards becoming more knowledgable, passing your certification test, improving your qualifications and most certainly maximizing your chances of getting better job in information technology sector. You see, the job outlook for CISSP is theoretically strong... of course you may say how does Rome Wells know that.... ? 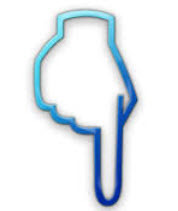 Reason is quiet simple, Rome Wells happens to be the founder of the company called Tutoring Services, LLC, who specializes in market trend analysis and educational marketing, not to mention many other educational services. Tutoring Services, LLC also has another company under it's umbrella called DBA Binary Fusion. You see here is the thing... Our company is all 3... IT Consulting company and Educational Marketing company and even educational company. Hence we have insights into industry from multiple stand points. Good thing about our position is that we can actually see where the job growth trend is going towards. In fact we even have a book that we share how to do market analysis for specific field such as let's say CISSP. In fact one of our books you can check out here for your self, it has emphasis in Cloud, IoT, SDN and Security. However, that's besides the point, the main point we are trying to make here is the fact that information security industry in general, will explode in demand. Of course you may sit here and ask questions why that is. Of course if you want to know why and learn many other concepts of Information Security, SDN and Cloud then we recommend you buy our book. However, you do not have to buy our book if you don't want to. After all... why would you? You came here for CISSP certification test prep right? Well let us make this perfectly clear to you.... it's all connected... it's all networked.. together... meaning entire information security industry is a connection of logically put together concepts, and unless you understand these concepts... it's sort of difficult to actually secure anything or even understand what on earth is being described in CISSP certification track. Our SDN-software defined networking book provides explanation from multiple angles from practical approach and theoretical approach about networking. Now you may say... why networking? Networking is the foundation............. Networking is what drives you in understanding how packet flows from point a to point b. If you know how packet flows from point a to point b you can most certainly start diving into other concepts of how to secure.... but if you have 0 clue for how it woks on the back end.... it would be tough journey for you to be able to secure anything. This is why we call the field of IT networking as the foundation to being CISSP. With so many different companies and different type of technologies popping out back and forth from all sorts of angles. it's beginning to be extremely difficult for many IT Professionals to understand what on earth should they be studying? Before.... vendors made is simple for us.... prepare for Cisco certification test and you are all set... right? These days are gone.... now entire field is divided across multiple vendors, and one company may have one set of technologies while another have another set of technologies. So where does it put you future CISSP... in perspective to everyone else? The answer is simple, it puts you into a unique position, of being able to speak up... and being able to show your skill sets and why you are different. How can information security professionals differentiate themselves? So the question is... how well do you think you can differentiate your self from other folks in the information security field? With so many systems poping out back and forther, what makes you different? Well Rome Wells response is ..... what can make you different is a certification that is applicable to multiple vendors and well recognized across multiple companies and recruiters, that certification happens to be CISSP Certified Information Systems Security. Why? Reason is simple because it's open standard and applicable to multiple systems. This makes hiring companies and recruiters easier to find candidates like you. So the question is... how can you differentiate your self from other people on the block? The answer is... by obtaining widely recognized certification such as CISSP. Obviously it does not mean that you should not get other certs, such as PMP for example, which is also widely recognized certification that looked kindly upon by many companies and makes a lethal combination for you to have as part of your certification skill set, and neither does it mean that you shold not study anything else that can help you get differentiated in your particular field. However we are not here to tell you to study or not to study. The choice is yours, it's up to you if you want to maximize your job outlook potential or not, and even get a raise in your current job if your job offers it. If you don't do it... someone else will.... and that someone else will be the one who will be making more money then you. What is the avg Salary for CISSP? CEH(Certified Ethical Hacker): Widely viewed as being easier to earn than a CISSP, but with a different slant. The CEH takes a more hands-on and less theoretical approach, with a broad exposure to infosec tools. CISA(Certified Information Systems Auditor): Takes an auditing approach to the infosec industry. You need to have five years of experience in info systems audit, control, or in infosec. OSCP (Offensive Security Certified Professional): Emphasizes hands-on penetration testing. No multiple choice; you're put in a lab and get points for hacking the boxes. Are you a school college or university or training center or IT certification program? Ok I understand all that and I am ready to start my journey into CISSP where should I start? Best place to start is obviously by visiting our section for CISSP books. Now you may say why books? Reason is simple books help you learn... There of course many methods to prepare for CISSP and these method we recommend on thist study guide site... however.... books we also recommend simply because they can help you pass your test. Remember entire concept of CISSP is built on common body of knowledge, just like PMP test is based PMBOK, every vendor who creates books out there, makes sense that the foundational concepts of particular exam are covered in their books. Therefore multiple books cover same info, in many cases, however one author can deliver conceptual understanding of each area better than another. So the question is where to get CISSP books and where to get them for affordable price? 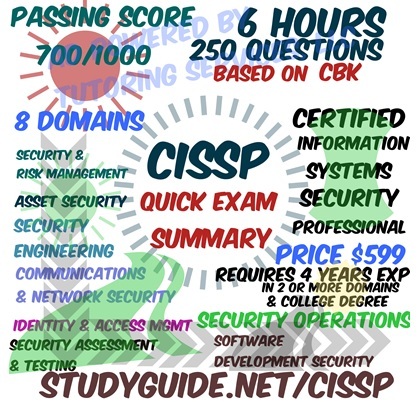 How to study for CISSP? Study Tip: Rely on multiple test preparation resources when preparing for this exam. Brain dumps don't necessarially work they change them a lot! So one brain dump can be easily switched for another. If you are looking for real questions this is not the site to be looking for them. However, we do show you study guide and test prep vendors who shaped up their questions relatively close to the actual ones conceptually. Providing that you prepare with them you should be ok. However, don't take my word for it, I Rome Wells never took this test... but I can tell you this... other students did who my company regularly talks to... and they shared their lessons learned with us, and we are sharing you content based on the lessons learned from many students who took this exam. Also studying from brain dumps will not help you in preparing for interview, during interview many companies who hire for such high level positions ask you rigorous questions, if you simply memorized questions and used brain dumps. You have very low chance of passing unless of course you get someone who is not knowledgible enough, but believe me... at that level companies who hire are knowledgeble enough to ask you these questions. Test Preparation Advice for IT professionals. Hence word of advice... don't just use brain dumps use your brain. Best combination for your studying is through the use of books, boot camps and self guided resources. Using bootcamp and self guided resources can help you tackle your test fears, and get you close to your goal of becoming CISSP. Note in some cases it's not enough fo some students to study with CISSP books simply because it's difficult to understand common body of knowledge contextual meanings. What happens if I can't find a tutor in CISSP? Example of a Network Consulting tutor for example.... Our DBA Binary Fusion 1 on 1 training is not cheap (maybe someone elses is but not ours), but we make it somewhat feasible by selling you packages. Plus another benefit of actually being trained by our agency managed tutors is from the very simple fact that we also recruit tutors from their roots of their studies. So if you study with us you essentialy climbining up circle of trust and have high chance of becoming Information Security agency managed tutor and making part time income teaching others. We do not provide guranteed placement for you to become our agency managed tutor, but we most certainly give you priority consideration as oppose to someone who did not pay us for training and did not go through our agency managed tutors. Note you may say... well i don't care about any of that, i just want to pass CISSP, if that's the case... then continue reading further, as we share multiple tactics here teaching you how to prepare for it or providing usefull recommendation advices. What other options exist out there for getting tutored in CISSP? There is tutors from over-seas, however majority of these tutors are either agencies who have no real background behind IT and simply education agencies just trying to sell you cheap tutors, whom you may not end up getting any learning effectiviness out of or end up getting scammed or your money waisted. Other option is online agency managed CISSP tutors/consultants or both! What you get with our tutors is quality, because we hold our agency managed tutors responsible. You can learn how here. Hiring our Cyber Security tutors is much better then hiring any one elses tutors. Additionally many of our tutors are both consultants and tutors, hence you simply get way better value of working with someone who is actually in the field, then working with someone who is not in the field and just teaching! Typically engineers have no time to teach for cheap price, after all why would they... especially if they are getting paid a lot of money.... during regular work hours. However few in 100,000s of cases there are small chosen few... type of IT security professionals who actually enjoy teaching others, these selected few are the ones we pick. That is not to say that we do not enroll any1 from over seas... It's just american companies don't trust anyone from any 3rd world countries. The only companies who they trust are American companies or English speaking countries or european countries, in majority of the cases. Hence these companies are typically the type of companies who contact us, and ready to pay big bucks to have consulting services delivered on part time basis, either providing consulting or training. Why hiring our agency managed tutors makes sense? Hence leveraging our skill set from our few selected tutors who are also consultants are about 10000 times better then hiring someone from overseas.... Plus not to mention economical factor, if you want to improve American economy hire someone from American company not overseas, especially if your employer is the one who would most likely pay for your training anyway! Why other training companies do not do what we do? Unfortunately, companies who are only in education field simply do not have such exposure.. or if they did it's probably in very narrow use cases... As oppose to our company where expose our tutors not only to having them teach students in Cyber Security, but also leverage the very same tutors as Information Security Consultants. You see it may not be very clear to you what it means, but if you are former hacker, or IT professional and want to learn how to use your senior level status to get ahead of others, then you would listen to what we are saying here and in fact even read our book StudyGuide.net/SDN, and what we are saying here, don't waist your time with taking training or braindumps for CISSP from anyone who does not have high quality professional trusted values. Take training from someone who does. In this site we show you who you can trust and take your training with. Note you can either ask us to help you get matched with one of our agency managed tutors based on individual 1 on 1 basis, or use self guided resources. Or go to our sister site and get non-agency managed tutor, where we do not charge any comission choice is yours.... Why we do that? Because we care about education and care about your choice but also show you the difference between high quality and low quality, and letting you decide who you want to take youtr training from, whether it will be our agency managed tutors.... whether it will be non agency managed tutors... or someone else from over seas or self guided resources, that we show here.... The choice is yours, you read our stories, you read our reviews and decide. What? Educational company and Network Consulting company in 1? How is that possible? Now of course you may say, wow an educational company that provides both CISSP guidance, test prep advice, tutoring services, internship opportunities for students to gain experience, marketing and network consulting... that's definitely something you don't hear every day. Yes indeed, you simply don't hear that anywhere. Why? Reason is simple... because we chose to focus not just on education... but on educational marketing, cyber security, consulting and many other things, that other companies chose not to focus. The outcomes of such focus is what you see here. Our company Tutoring Services, LLC has 1 goal and 1 goal only... to help education stay affordable... and provide high quality options and help students get guided in the right direction. That's our goal. What we are doing here we are providing affordable options that are at less quality and higher quality options that are at better quality, which option you chose is up to you. However our advice is always to pick quality.... vs affordability... if you can afford, simply because your learning effectiviness by using higher quality product is simply going to be better, and you would save more time, and at the end what origionally seemed like more expensive in reality becomes less expensve. 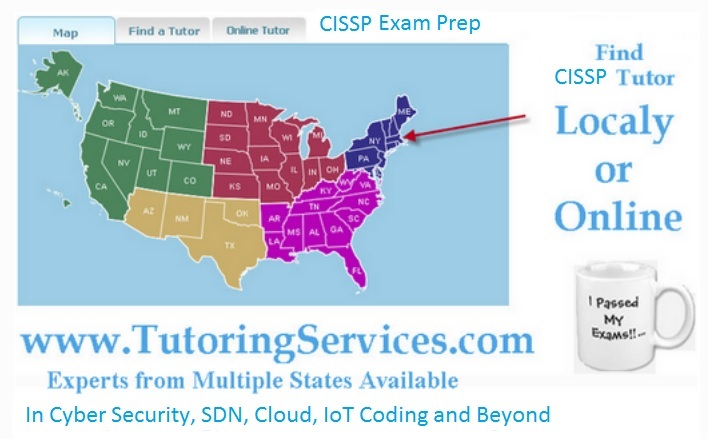 Not every test prep provider or vendor or company is the same, this is what we try to relay here on this site, and share some of these vendords with you, in the form of study guides, courses, tutors, boot camps, books, apps, exam secrets, flash cards or any other resources that can help you prepare for this CISSP exam. Did you know that you can also earn money teaching other students who are also preparing for CISSP or other Cyber Security, Cloud Information Technology, SDN, IoT related skill sets? Yes indeed you can do so.. and you can do so on part time basis, after your full day at work... doing something that you do at work every day.... except you can do so on part time basis. Helping you maximize your chances of making more money. So if you study with brain dumps... guess what you don't get that opportunity, if you study with any of the resoruces that we list below such as for CISSP bootcamp then we can provide you with such opportunity to register on our stie FREE of charge and adveritse your self in the subject of CISSP or other relevant Cyber Security subjects. Why becoming Cyber Security tutor is a good idea? Reason is simple, extra income, either you do it or not is up to you, but last time i checked there is a huge demand for IT security professionals yet not enough brain power to transform students into the world of Cyber Security professionals. You can help and contribute to that. Obviously you must pass your CISSP exam first. If you pass your CISSP exam and used resources shown here and show us receipt. We will grant you that spot on our site. Of course you may say who visits our site TutoringServices.com and why would I want to advertise my self there after I pass CISSP.... The reason is simple... to increase your chances of getting student leads and make part time income. We offer 2 options for our tutors, option 1... non agency managed tutor and agency managed tutor. Agency managed tutor gets to be differentiated better than non-agency tutor and is managed by our agency, that is Tutoring Services, LLC (DBA Binary Fusion). Non-Agency tutors are independent tutors who are their own boss.. in both cases you get to be your own boss regardless if you are agency or not agency managed, except with agency you get more help in differentiating your tutor profile and is simply better marketed, since we actually have financial incentive to market you and have you booked as a tutor with the student on regular basis and get an agency recurring comission fee from that. This agency managed concept is called brokering tutor with student. Therefore to make the story short what was just described here is glimplse of 2 options that we offer for anyone who passed their CISSP, obviously whether you qualify for agency managed tutoring option or not is a different story and depends on our admission criteria (which follows the concept of trusted tutors which you learn more about by visiting our plus.google.com/+TutoringServices site). How we help students who pass CISSP make money helping other students? We have designed both tutoring business models like a firewall that restricts traffic... being registered as our non agency managed tutor opens up first factor of authentication to our circle of trust. Being able to providing consulting services in information security and teach across different certs.... and be able to pass our interview and our trust membership qualification requirements opens up 2nd factor of trust with us. We use double factor authentication process to gain that trust from you, in exchange for helping you get student leads as agency managed tutor teaching students how to prepare for exams like let's say CISSP or any other exam related in information security, cloud or IoT. Therefore, when many student say... i am not sure why is information security usefull.... remember why... it's usefull not only because it's useful for your career growth, but it's usefull because of what you can potentially become in the future if you use your brain the right way. Motivational Story from Rome Wells. Study smart, make sure you understand reasons why, you are securing something and what it's for, and although in CISSP common body of knowledge you will not learn this and no one ever will tell you that.... remember one thing.... "learn how packet flows... from where to where and how"
Many people who read my story, think wow does this guy Rome Wells really exist? Yes and here is his profile Profile shows you that Rome Wells really does exist and not some internet troll as it is the case with majority of busienss now days, and not only does this guy Rome Wells exist, this guy moves big corporations together with his words and uses social engineering, and data mining by inter-networking business processes, and secuirty concepts together as well many other things such, students, and tutors and well, you future CISSP. Or you can simply just send text message from the chat window at bottom right and one of our Tutoring Services, LLC agents will respond, and yes you can even chat with Rome Wells himself, to motivate you and make you feel good, and give advice. Something you just do not see anywhere period. Did this motivate you to study yet for this exam? Not yet? Ok what about this? StudyGuide.net/SDN Does this motivate you to study more? Or no? You see because Rome Wells technically is an educational advocate across different fields, not that many people consider him as their own..... as part of their own inner circle.... However for information security professionals, I am the closest thing you got in the entire circle of any educational advocates that exist out there in this market. My goal is to motivate you to study, my goal is to make sure you study, my goal is to make sure you study smart and prepare the right way and have available resources that can help. What other type of industry professions may want to study for this CISSP exam? Other profession is definitely accounting profession specifically in the specialization of auditing. It's not easy to pull of both CISSP and get CPA accounting espeically since for CISSP there is requirement for experience etc. However the few type of CPAs who do have both, can not only increase chances of making more money by differentiating themselves from other CPAs, but can also help America fight long term war on Cyber Crime. You can find out how here. Journey, from zero to IT hero, Rome Wells realizes that. 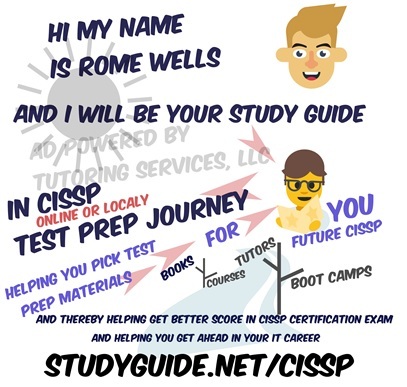 Rome Wells also realizes that you don't have a lot of money to spend on test prep education, which is why Rome Wells precisely built this book search engine for you future CISSP, in fact Rome Wells built multiple search engines from all sorts of angles that can help you save money in one way shape or form for your CISSP exam. Want dirt cheap CISSP books? Forget useless apps try something more concrete and physical and in your hands that you can sit and read dirt cheap! Go here UsedCollegeBooks.net, compare prices, buy books from the cheapest bookstores, Save environment and Save Trees, help earth stay GREEN, cheaper than self guided courses or tutors (but not as good as courses or as tutors, or perhaps... not the same.... in terms of learning effectiviness) Compare prices and select the best CISSP books or sell your book directly on college campus. 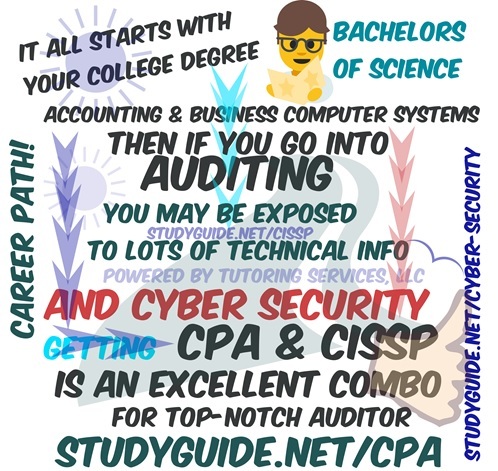 Powered By Tutoring Services, LLC to help you save money on Cyber Security education! However, before you buy book view other CISSP Study Guide resources here which in many cases better than books, but using the resources shown with the inter-combination of books can help you prepare for this test more confidently! Have cold feet about taking CISSP exam? NOt sure if it's right exam for you and you career? Have you considered what happens beyond CISSP, to tell you the truth even before getting CISSP you can do what i have described in Beyond CISSP section. SELECT a.id, a.book_title, a.description, a.ad_image, a.image_tag, a.isbn, a.asking_price, a.book_condition, a.book_store_url, a.sg_type, a.url_path, c.subject_id, c.subject FROM tbl_used_book as a, tbl_booksubject_description as b, tbl_level_subjects as c WHERE a.exam_code = "cissp" AND a.subject_id = b.subject_id AND a.subject_id = c.subject_id AND a.is_available = "1"